Sisense Hunch™ is proving to be a valuable tool for customer-relationship intensive industries, such as Telecoms. It helps companies increase customer retention, reduce churn and build highly targeted data-driven campaigns even for anonymous customers (such as pre-paid customers). With Sisense Hunch, telcos can accelerate their analysis of customers, with a view to identifying opportunities to build customer loyalty and repeat business, even from pre-paid customers, who typically seek the best deals and are more inclined to switch providers than subscription customers. Analytics from Sisense Hunch enables telcos to identify the behavior of these deal-seeking customers and determine what will be an attractive offer for them, to encourage them to stay with their provider and top-up. In addition to stimulating repeat business, using Sisense Hunch will help prevent loss of revenue owing to customer churn and increase revenue by usage stimulation. Sisense Hunch cuts through the challenge of analyzing multiple datasets at high volume to deliver clear and immediate results with remarkable accuracy. Pre-paid customers present telecom operators with arguably one of their toughest challenges: customer retention. Pre-paid customers top up their mobile phones and they don’t have contracts. This means that they have no obligation to stay with their current operator and are more likely to switch operators if they find a better deal elsewhere. Churn among these customers is typically high and unpredictable. Plus, these customers can be difficult to identify and target because the lack of a contract means that they are often anonymous. 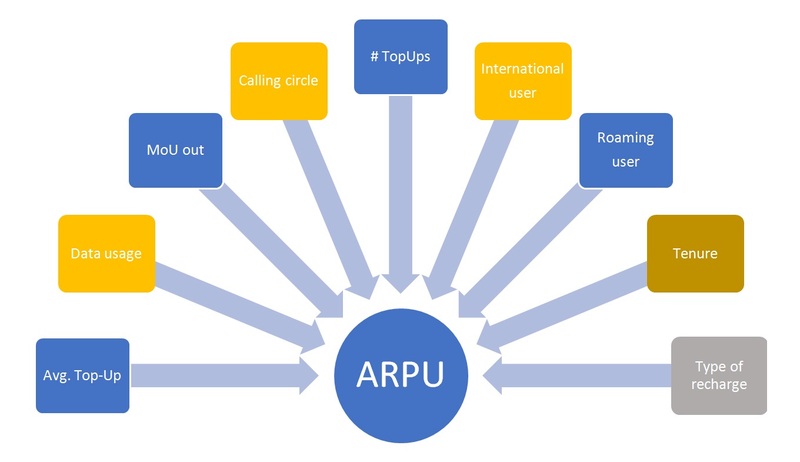 maximize ARPU (Average Revenue per User). Consequently, the pre-paid telecoms market is very dynamic and the competition amongst operators is extremely intense. The telcos’ marketing teams are constantly called upon to develop different bundles, add-ons and top-up offers, sometimes as frequently as daily, in order to attract and retain these naturally wavering customers by successfully communicating offers to them, converting them to increased mobile Internet use, stimulating their loyalty and getting them to top-up their SIM cards. Learning usage trends and reacting quickly to them is critical to their success. Let’s take, for example, a marketing department of a Tier 2 operator that is tasked with increasing ARPU by top-up stimulation. What’s proposed is a new offer to pre-paid customers of 1GB free mobile Internet on their next top-up, with an increase spend of €0.30 per user in the targeted groups. The operator needs to find out if a deal like this is compelling enough to stimulate top-ups and to identify the “right” customers that will respond to this offer. Sisense Hunch can interactively analyze this data and develop insights based on these parameters far quicker than with traditional statistical softwares, thereby accelerating decision-making and enabling the operator to identify its targets and make compelling offers that will encourage top-up. Speed is imperative to this process because the faster these factors can be identified, the faster they can be addressed, and it increases the possibilities of retaining customers and avoiding churn. 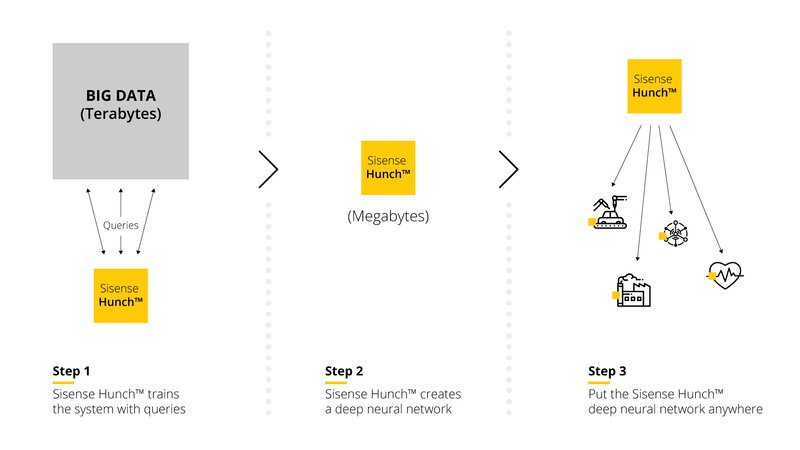 Sisense Hunch generates a deep neural network that learns to understand the data created by pre-paid behavioral usage patterns. This requires bringing together and analyzing the range of data it needs (as detailed above) to enable the operator to develop insights on which its business decisions can be made. In this case, with Sisense Hunch, it was possible to simultaneously check hundreds of scenarios interactively, based on a user-base of 3 million pre-paid subscribers. That’s a huge amount of information to gather and analyze when the need is to do so quickly, but Sisense Hunch can reduce large datasets by a factor of more than 1:100000, so that marketers have a small offline data set of the pre-paid base. In this case, Sisense Hunch reduced the dataset from 3GB to 2MB. Using its data cognition engine, Sisense Hunch could check each scenario in just 8 milliseconds, proving to be 10,000 times faster than the previously used statistical software. Plus, it achieved a 99.8% accuracy compared to previous systems. In short, Sisense Hunch dramatically accelerated the ability to identify potential groups for top-up stimulation and determined how revenue could be maintained or even increased. By compressing terabytes of data, Sisense Hunch enables telcos to most rapidly meet their need to prioritize data as it provides clear and immediate targeting of groups and results on the spot. It maintains high levels of accuracy whilst avoiding any breaches of policy, privacy, and regulatory compliance concerning the use of raw personal data. Furthermore, Sisense Hunch’s API can be exported to any campaign management or CRM system, and the results it generates can be used by departments other than marketing, thereby adding value to the ROI. It achieves all of this cost-effectively, optimizing CAPEX (such as the cost of servers, storage) and OPEX (such as Analytic software licenses, their maintenance and operation). With Sisense Hunch you can dramatically increase agility, productivity and effectiveness, resulting in better business performance and enhanced competitive edge.